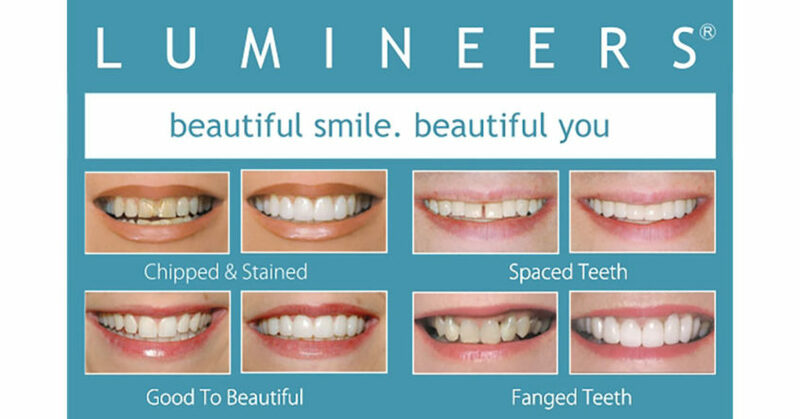 LUMINEERS BY CERINATE is a new alternative solution to traditional porcelain veneers for tetracycline stained, discolored, chipped, misaligned teeth, and even for renewing old dental work. LUMINEERS BY CERINATE is a porcelain veneer made from patented Cerinate porcelain which is crafted to be placed over existing teeth without any removal of the tooth structure. The unique porcelain of LUMINEERS BY CERINATE allows it to be made as thin as a contact lens and is exclusively available through Cerinate Smile Design Studious, owned by Den-Mat Corporation. LUMINEERS can even be placed on porcelain bridgework and crowns with the new Revitalize Kits available through your dentist. Within two to three visits to the dentist, LUMINEERS provides a custom-made smile that is clinically proven to last up to 20 years and are completely reversible.